Brash Higgins isn’t a person. It’s a myth, a universal theme about leaving and searching, absorbing experiences, embracing friendships and creating things to inspire other dreamers. As a myth, it belongs to no one and is offered to all; an idea to inhabit, if you’re the dreaming type. recent tasting. You go to these things and assess away, routine, business-like. You nod, raise and furrow eyebrows, jot down notes, move on. As journalist and student I guess I’m generally uptight and on guard but on this occasion the Brash Higgins range burst through my defences. I sighed in surrender and felt an urge to lay down arms – pen, notebook, phone – kick back and enjoy a drink. Perhaps the wines spoke to my inner Brash. New York sommelier Brad Hickey first travelled to Australia in 2004 as a guest of US wine importer Dan Philips. On that trip he met then Rockford winemaker Chris Ringland. 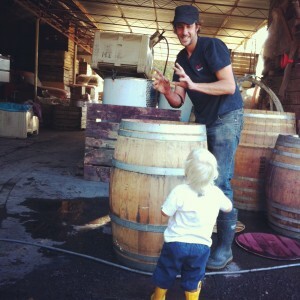 The two stayed in touch and when Ringland invited Hickey to work vintage in the Barossa in 2007, Hickey jumped at the chance. He ended up staying on in South Australia and pruning vineyards in McLaren Vale that winter, by which time the Aussies had rechristened him Brash. Brash Higgins, the fake name used to keep immigration officials off his tail, ultimately became the mythical hero of this adventure. And it sent his imagination soaring. Co-fermented Grenache/Mataro and amphora-fermented Nero d’Avola were the two wines that inspired this blog, while I didn’t even get to try the Riverland-grown Zibibbo (the cool name for Muscat of Alexandria; the label’s even cooler, like a 70s juice brand on acid) because it’s so insanely popular. While respecting tradition – and achieving excellent results – with those two varieties, Hickey’s sommelier heart beats strong. That means there’s always a puzzle to solve and new gems to unearth. “I like to drink all kinds of styles from all over the place. I felt this way when I built wine lists. There’s no point having two things that are the same. Before we put a new wine into the Brash Higgins stable, I look closely at what I’m adding to the landscape here. 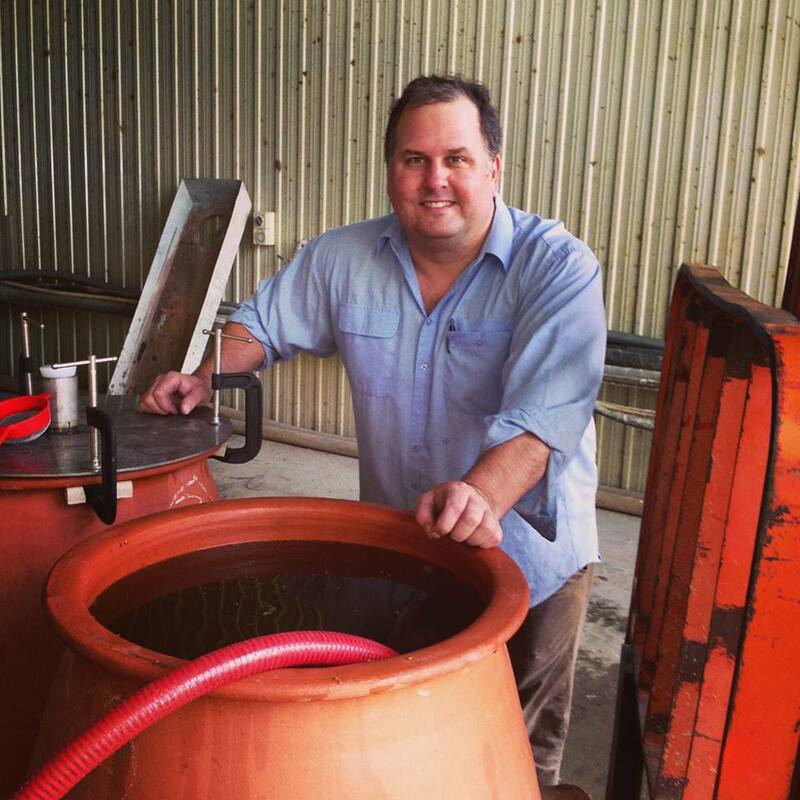 He grafted over some Nero vines in 2009 and made the first wine in 2011, fermented in 200-litre beeswax-lined amphorae made by fifth-generation Adelaide potter John Bennett. The wine spends six months on skins and is hand plunged twice a day for the first four weeks or so. Inviting bright ruby in colour, with a pronounced nose at once deep/rooty and bright/floral – bass notes of rhubarb, beetroot and fresh liquorice with lavender, plum and cherries in a higher key. The entry is soft with vibrant red fruits, the sweetness in check. It’s fleshy and plummy through the mid-palate with a cherrystone tang that never leaves, yet accompanying that brightness is bitter-mocha depth to slump into, blanketed by mouth-hugging, fine-grained tannins. The tangy acid draws it out to a conclusion of moderate length. A juicy, caressing and very moreish wine. Bright crimson/garnet in colour, the perfumed nose giving off violet floral notes backed by red berry and plum, leather and earth. The attack is heavenly – sweet raspberry, blood plum and cherry – before the mid-palate adds some wilder, darker notes – mulberry, blueberry and damp earth. It’s juicy and harmonious with chewy tannins and lively acidity guiding it along. There’s a fair amount of heft in there, but the sheer, unflagging allure of the texture and aromas leaves you with the impression of gentle and welcome seduction. I applaud promiscuity when it comes to wine. Any red-blooded drinker confronted with a world of beauty and diversity is duty bound to get out there and share the love. That’s why I was quick to doff my cap to the polygamist proclamations of a bloke who wears his heart on his sleeve – well, on his twitter handle. That’s right, @ILoveRiesling has a roving eye. I caught Tom Hogan, celebrated sommelier and co-owner of Melbourne wine bar Harry & Frankie, whispering sweet nothings about Grenache. I just thought you ought to know. 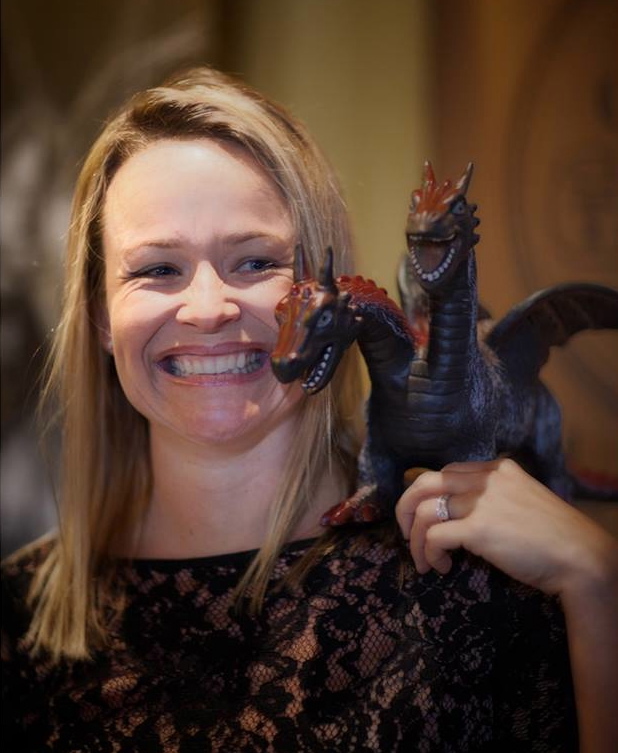 Hogan, an associate judge at the Royal Melbourne Wine Awards and Sydney Royal Wine Show, concedes that Grenache may have suffered from something of a cultural cringe, with the variety relegated in the eyes of some to “B” grade status, below A-listers like Pinot Noir and Chardonnay. In part this was down to over-the-top, boozy styles with sweet, confected fruit. He hopes that wine-judging attitudes may change now, with wines like Ochota Barrels’ Fugazi Vineyard Grenache 2012 ($38; sold out – 2014 released 1st December) and The Green Room Grenache Syrah 2013 (sold out – 2014 released 1st September) almost taking their cue from Pinot and mimicking its ethereal appeal. 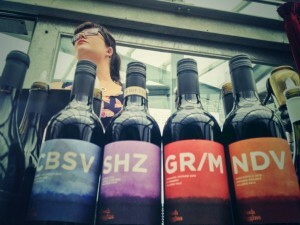 Hogan’s background as an Adelaide-bred member of the hospitality industry means he’s never been far away from Grenache. He’s also deliberately thrown himself in its path. He’s worked a couple of vintages in the Barossa, including in 2008 at Spinifex, producer of the Papillon Grenache Cinsault blend ($26) – an old favourite. He’s also paid a couple of visits over the years to the southern Rhone, home to Clos des Papes in Châteauneuf-du-Pape, “probably my favourite producer year in, year out”. He’s currently got around 25+ Grenache wines on the 650-strong list at Harry & Frankie. From Australia, it’s no surprise to hear Hogan laud McLaren Vale, particularly the Blewitt Springs sub-region. Less obvious is Victoria’s Pyrenees, where he’s captivated by DogRock’s Degraves Road Shiraz Grenache Tempranillo blend ($75). 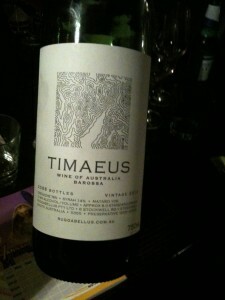 “That’s a top wine, more in the bay leaf/dried herb spectrum,” he adds. 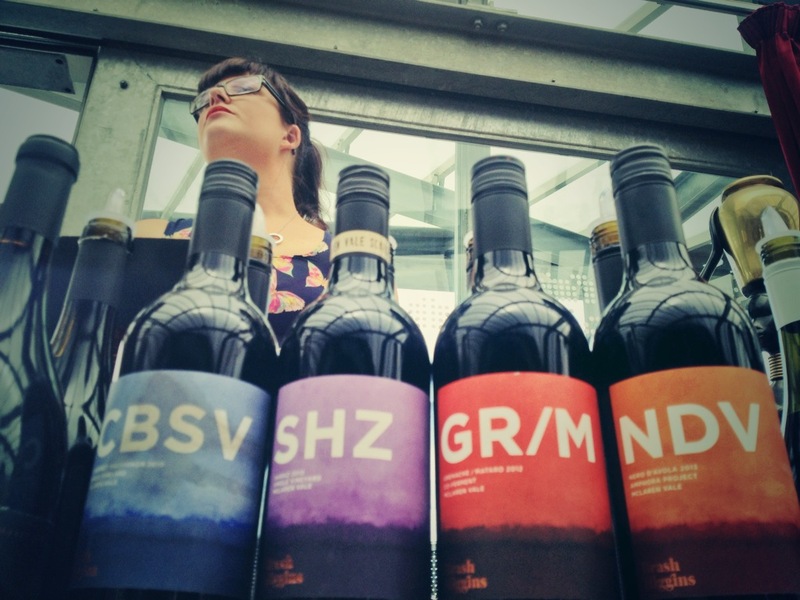 Grenache stars in some fantastic blends, with the Barossa and McLaren Vale leading the charge. 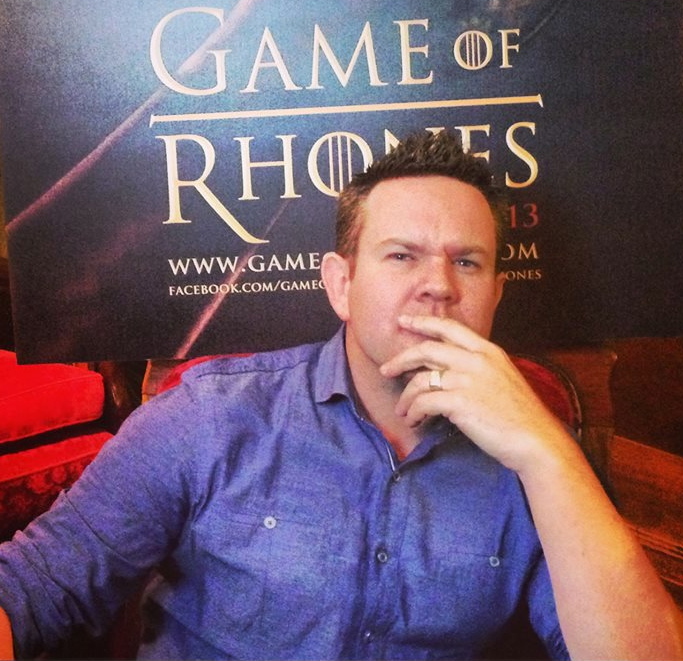 It was great to see these celebrated earlier this year at Game of Rhônes, an epic, energised tasting event hosted by Dan Sims and the team at Bottle Shop Concepts. I’m a total blow-in when it comes to Abel Gibson, the guy behind Ruggabellus. But now I’m in the know, I can’t get enough. He came to my attention by winning the Young Gun of Wine Award 2012 but his CV includes stints with Penfolds, Rockford, Chris Ringland, Charles Melton and Spinifex. Gibson made 2066 bottles of Timaeus, one of four Rhône-blend labels produced under the Ruggabellus name. 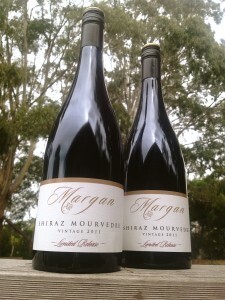 It’s comprises 76% Grenache 14% Syrah and 10% Mataro. There’s red, blue and black fruit on the nose, which also has funky, savoury and smoky bacon tones. The medium-bodied palate is beautifully layered, with more of the same fruits, plus spice and a lilting leafiness on the finish. Gorgeously complex and alive, it’s a wine that unfurls gradually and gives great enjoyment. Timaeus is ancient Greek for honour, apparently, and that’s exactly what it is to drink this wine. This blend from excellent Grenache exponent Yangarra is led by old bush-vine fruit (41%) from 1946 plantings, with Shiraz (31%) and Mourvèdre (28%) in support. It’s a glossy, bright medium ruby in colour, with a perfumed nose of mixed berries and cherries with a touch of herb and spice. It’s pretty full bodied, with juicy red and black fruits backed by black pepper and aniseed, a perfect complement of sweet and savoury characters. Good to see Mourvèdre playing more than a minor role. The wine has good fresh acid and length. A great package all round, this, from the small, classic, old-school label and unassuming name. It’s clear, bright, crimson purple in colour, with lifted raspberry and floral notes on the nose. Milk chocolate raspberry bullets and aniseed sit in the background, with deeper notes of pippy bramble fruit and a bit of earth. It’s just over medium bodied, lovely and smooth, with red fruits up front and that chocolatey note. The ripe, dusty tannins have a pleasant firmness and combine with good acid to really push out the finish of raspberries, blackberry and black cherry with a touch of spice. It’s a lovely wine – easy to enjoy and a great example of the harmony of good Grenache with Shiraz. It has spice and richness and there’s a lovely, juicy, slinky feeling to it. Drink with lamb backstraps. Drinking beautifully now and will continue to do so over the next few years.